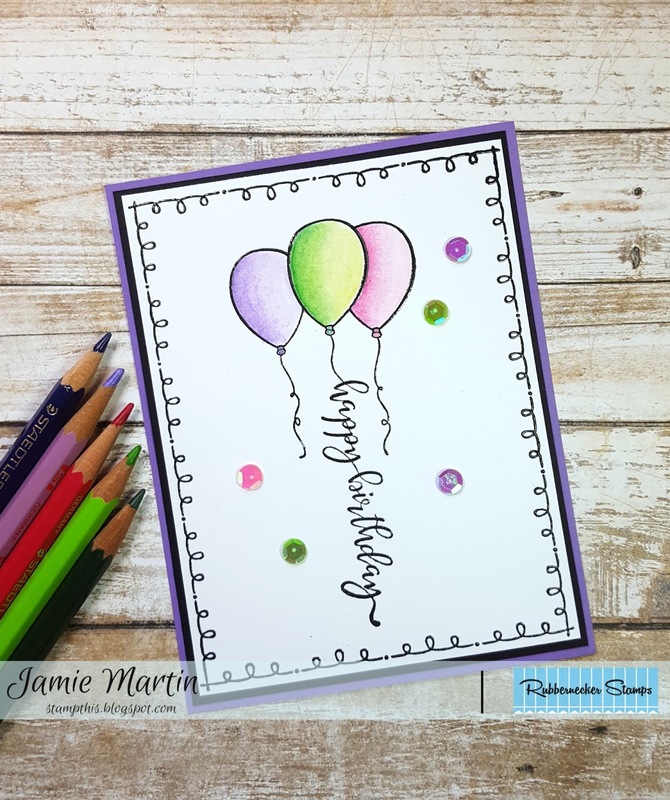 Today I'm sharing a birthday card using the new Birthday Balloons and Curly Cue Frame from Rubbernecker Stamps. The frame and font on the sentiment go so well together and it makes for a quick and easy card. Both stamps are stamped with Onyx Black VersaFine Ink and embossed with clear. The Birthday Balloons are colored with watercolor pencils to achieve a nice shading. Several colors of sequins are randomly glued using Art Glitter Glue. The panel is layered on a black panel and glued to a purple card.